Somerset Real Estate has some of the best real estate to offer. 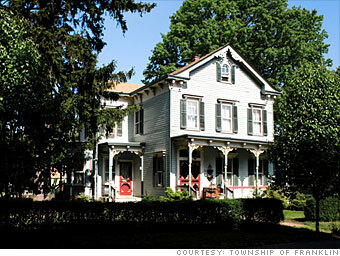 Located in Somerset County, New Jersey, Somerset (also known as Franklin Township / 08873) was named one of the top 5 Best Places to Live from Money Magazine. This was mostly because Somerset offers an overall great community to someone looking to raise a family or for a busy professional. Somerset even has quiet neighborhoods for those looking to settle down and retire. Located less than one hour from Manhattan, Somerset is a great suburb for New York City Commuters as well. Give Us a Call to See What Somerset Has to Offer!